We stay true to our Values through our long-standing commitment to measuring the carbon footprint of our company and making the data public. We record and report our worldwide greenhouse gas (GHG) emissions with The Climate Registry, a nonprofit collaboration among North American states, provinces, territories and Native Sovereign Nations that sets consistent and transparent standards to calculate, verify and publicly report GHG emissions into a single registry. 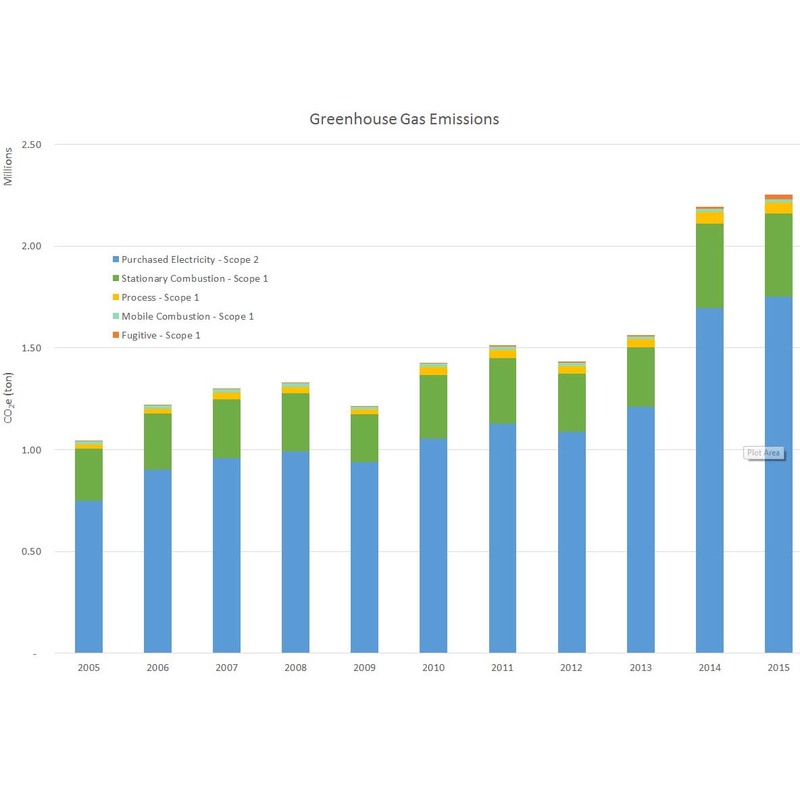 This bar graph shows Corning greenhouse gas emissions (GHG) by source from 2005 to 2015, measured in carbon dioxide equivalents (CO2-e). Source types are: purchased electricity, stationary combustion, industrial process, mobile combustion and fugitive. The results cover GHG emissions under our operational control and have been independently verified by a third-party verifier.